You know about the beautiful beaches in Cozumel – but what about the tequila tastings, ancient chocolate, and Mayan villages? One guest discovered a different side of Cozumel on a tour from Playa Mia Grand Beach Park. 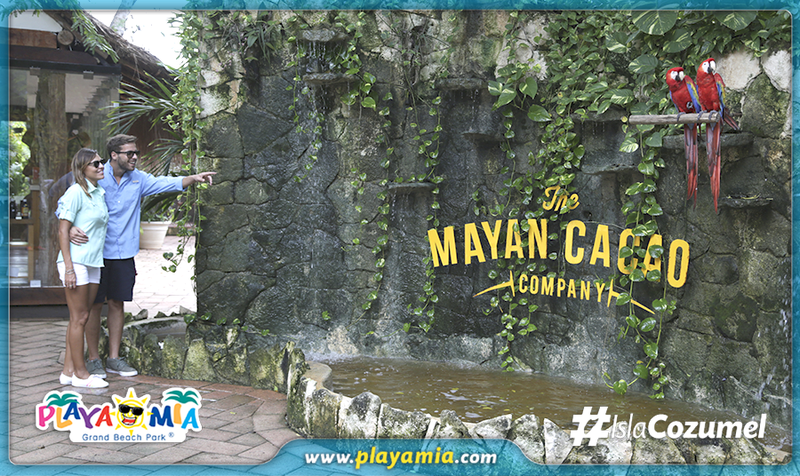 “We began our visit through Shore Excursions Group with the local Playa Mia guides. Imagine our surprise at having a driver and guide for just the two of us. We began at a "tequilera," learning the history of Mexico's national drink and sampling several types of tequila to learn about the different qualities each possess. “Next we went to the Mayan Cacao Company and discovered the importance and many uses of chocolate in the Mayan civilization. We got to sample the product there as well. On to Playa Mia where we prepared a three-course lunch from scratch with the help of a chef using typical Mexican ingredients and spices. My husband, who can barely boil water, made his entire lunch and even learned to decorate the plates. We ate the lunch in an air-conditioned restaurant overlooking the water. Would you like to know more about our Flavors & Traditions of Mexico tour? Ready to plan your next Cozumel adventure? Please contact Playa Mia today!